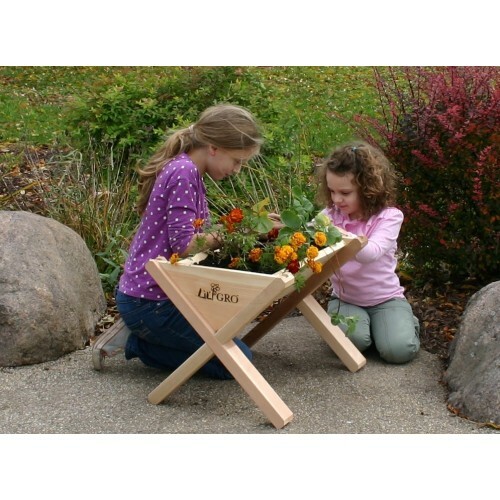 A great way to introduce children to the world of gardening, the V-shaped Lil’ GRO Veg-Wedge elevated garden planter may have a small footprint, yet it will change the way you and your kids garden in a big way. 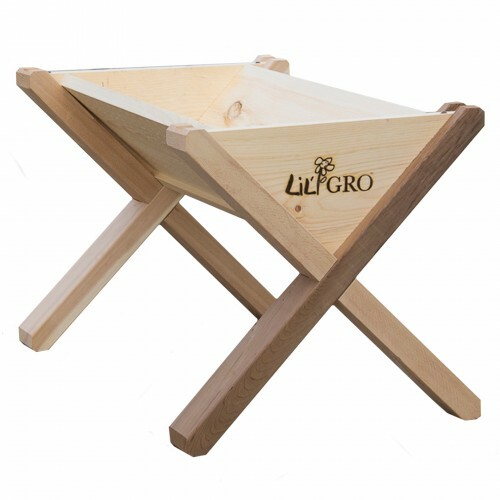 The Lil’ GRO Veg-Wedge is perfectly sized to help small children start a garden. This V-shaped planter ideal for growing deeper-rooted veggies like baby carrots as well as squash and cucumbers, plus its elevated design helps you maximize your garden space. It’s an ideal match for smaller spaces like patios, decks, condos, and apartments — no yard needed. Constructed in the USA with naturally rot and insect resistant unfinished Cedar, it assembles quickly and easily in minutes. (all assembly hardware is included). © 2019 GRO Products - All Rights Reserved.